Lock in a great price for Victoria Jungfrau Grand Hotel & Spa – rated 8.8 by recent guests! Friendly staff, clean rooms, spectacular view from the breakfast room. Will definitely come back. The staff were really nice & helpful. The location was perfect. The restaurant La Terrace was exquisite and the spa was amazing!! Well worth it! Hotel was beautiful. The room was wonderful and and the grounds were great. The food was delicious and enjoyed skiing. Would return again. The concierge who drove us to the ski lift was very very good. This property deserves every bit of its five star rating and then some. The building and its amenities are truly grand, and the staff is incredible. The hotel is located in the center of Interlaken, so lots of shops and restaurants nearby. The room we booked was comparatively spacious (won't be that spacious if you opt for a smaller room type) and the public area of the hotel is very elegant. The view was incredible. You can see everything from your room including parachutes. The staffs were friendly and provided a lovely sweets when they knew we were honeymooners. The breakfast was perfect and delicious. 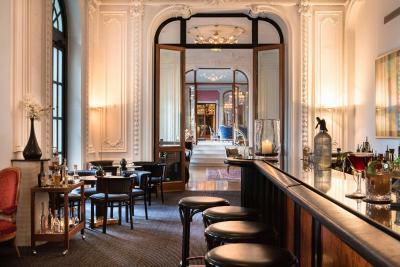 Victoria Jungfrau Grand Hotel & Spa This rating is a reflection of how the property compares to the industry standard when it comes to price, facilities and services available. It's based on a self-evaluation by the property. Use this rating to help choose your stay! 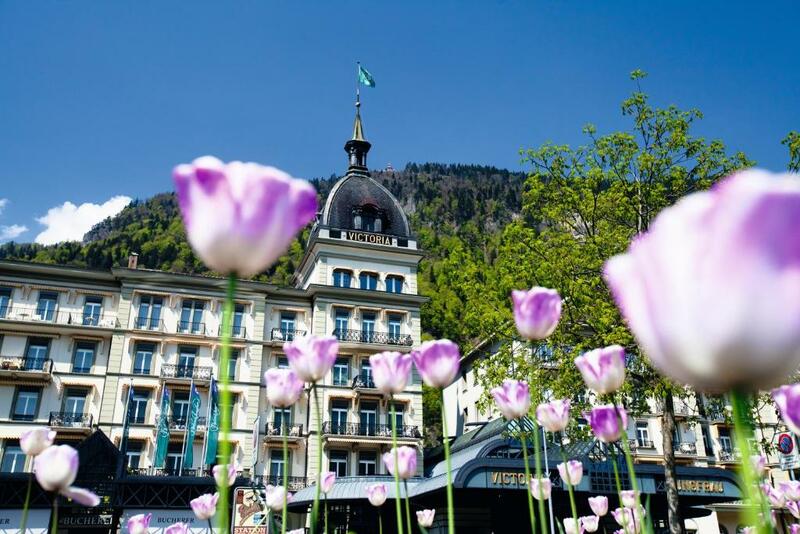 The Victoria Jungfrau Grand Hotel & Spa enjoys a privileged and picturesque location in Interlaken, between 2 beautiful lakes at the foot of the eternally snow-capped Jungfrau. The exclusive 18 ft² Victoria Jungfrau Spa is equipped with a pool, a sauna and a steam room. 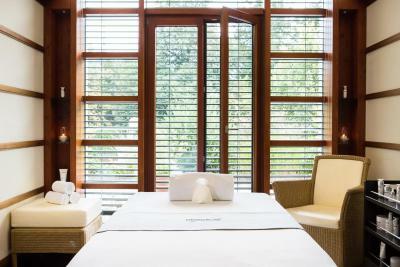 It provides body and face treatments and features a Sensai Select Spa. 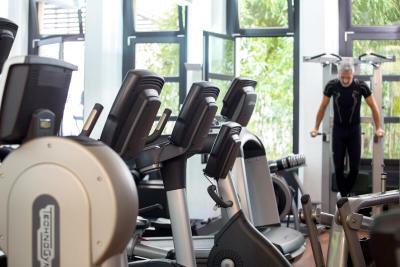 Fitness, sports and health coaching are also offered. 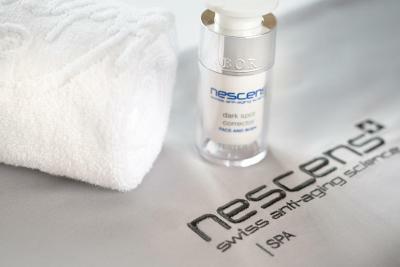 Additionally, the NESCENS spa consists of a luxurious private spa for 2 and a cozy spa bar serving healthy spa cuisine. 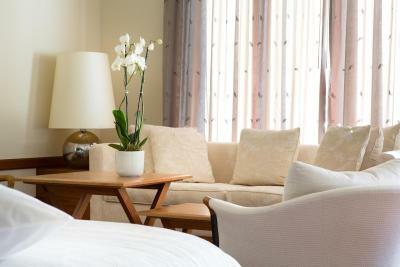 All rooms have a distinctive design and décor, ranging from classic to contemporary. Elegant interiors and spacious marble bathrooms complement the designs. Views extend to the Jungfrau, over the rooftops of Interlaken, or the nearby Harder. 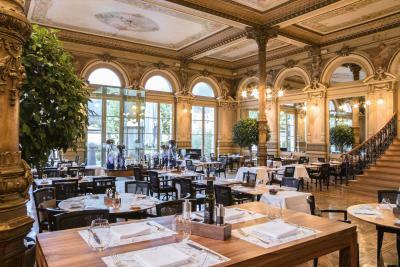 La Terrasse, awarded 15 Gault Millau points, is an elegant restaurant renowned for its fine international cuisine. 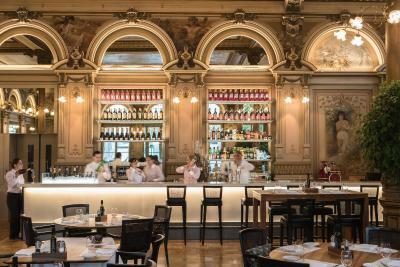 At the Ristorante e Pizzeria Sapori, guests can enjoy a variety of Italian specialties including fresh pizza from the stone oven, as well as a selection of Italian wines. The Victoria Jungfrau also features a sun terrace overlooking the Jungfrau Massif and provides free Wi-Fi throughout the hotel. This property also has one of the top-rated locations in Interlaken! Guests are happier about it compared to other properties in the area. 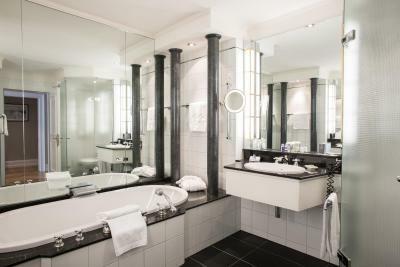 When would you like to stay at Victoria Jungfrau Grand Hotel & Spa? 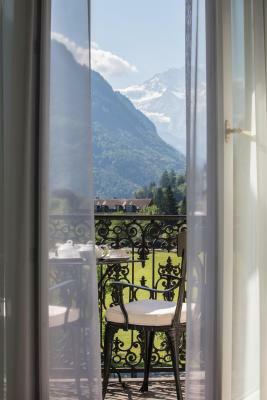 These rooms offer views of the Harder, a local mountain, or of Interlaken. Please note that the maximum occupancy is 2 guests. No extra beds are available in this room type. Private parking is available on site (reservation is not needed) and costs CHF 35 per day. These rooms offer scenic views of the Jungfrau Mountain Range. 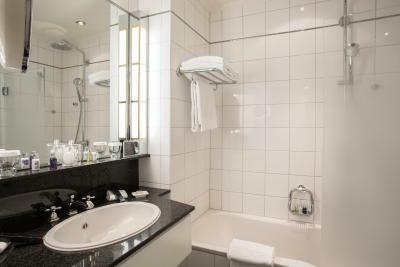 This spacious suite offers a luxury bathroom and a view of Interlaken or the Harder, a local mountain. Please note that the maximum occupancy is 3 guests. Extra beds are available on request (see property policies). Spacious junior suite offering a luxurious bathroom and scenic views of the Jungfrau Mountain Range. This suite features a picturesque view over the snow covered Jungfrau massif. Please note that the maximum occupancy is 4 guests. Extra beds are available on request (see property policies). This junior suite features views of the surrounding landscape and direct access to the NESCENS spa. Please note that the maximum occupancy is 2 guests. No extra beds are available in this room type, children and pets are not allowed. This suite features views of the city. This suite features views of the Jungfrau massif. This suite in the dome of the hotel features floor-to-ceiling windows and 2 terraces with panoramic views of the Thun and Brienz lakes. 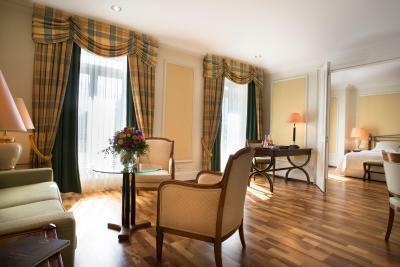 This suite offers views of the Jungfrau mountain, air conditioning, and club benefits such as daily free soft drinks in the mini-bar, VIP pick-up at the train station Interlaken East or West, VIP check-in, a welcome amenity and priority seating in the restaurants. This suite features views of the Jungfrau massif, air conditioning and club benefits such as daily free soft drinks in the mini-bar, VIP pick-up at the train station Interlaken East or West, VIP check-in, a welcome amenity and priority seating in the restaurants. This junior suite features views of the Jungfrau mountain, air conditioning and club benefits such as daily free soft drinks in the mini-bar, VIP pick-up at the train station Interlaken East or West, VIP check-in, a welcome amenity and priority seating in the restaurants. This double room features views of the city or the Harder mountain, air conditioning and club benefits such as daily free soft drinks in the mini-bar, VIP pick-up at the train station Interlaken East or West, VIP check-in, a welcome amenity and priority seating in the restaurants. 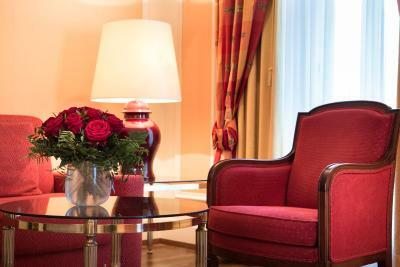 This family suite features views of the city or the Harder mountain, air conditioning and club benefits such as daily free soft drinks in the mini-bar, VIP pick-up at the train station Interlaken East or West, VIP check-in, a welcome amenity and priority seating in the restaurants. Please note that the room type and bed type will be allocated upon check-in. 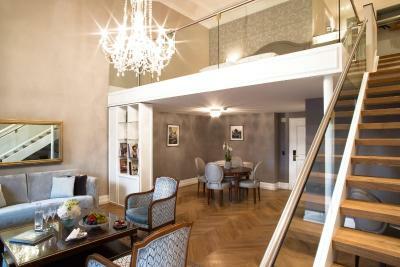 House Rules Victoria Jungfrau Grand Hotel & Spa takes special requests – add in the next step! Victoria Jungfrau Grand Hotel &amp; Spa accepts these cards and reserves the right to temporarily hold an amount prior to arrival. Victoria Jungfrau Grand Hotel & Spa accepts these cards and reserves the right to temporarily hold an amount prior to arrival. Please note that even if existing bedding is used, the extra bed fee will be charged for each additional child or adult in the room. If the maximum occupancy is exceeded for a room, an additional room will be allocated and charged. Please note that if the booking amount exceeds CHF 4000, different terms and conditions apply. Please note that your attire contributes to the ambiance of the hotel. 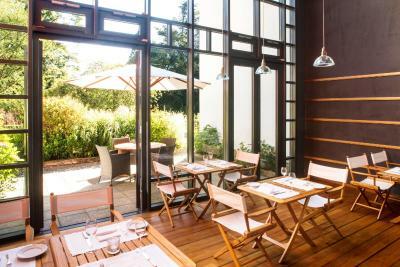 At the La Terrasse restaurant, elegant evening attire is expected. At breakfast, at the Victoria Terrasse and at the Sapori restaurant, smart casual attire is requested, as is during the day throughout the premises of the hotel. Please note that when booking a nonrefundable rate, guests will receive a payment link. During the months of June 2019 through September 2019 interconnecting doors are only guaranteed with an extra charge of CHF 50 per interconnecting door and night. 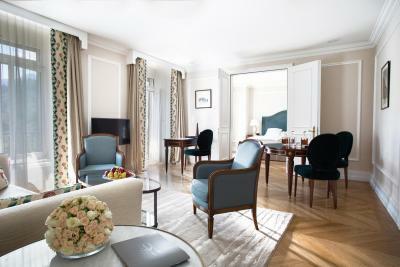 Guaranteed balconies in Deluxe Room-Categories will be charged with an additional CHF 50 per room and stay. Great friendly staff and place is great. The cutlery & the cups were not clean & they smelled bad. First room was great but over the bar and had a noise issue and we had to move rooms. Issue was resolved so not a big deal. Interlaken itself isn't anything to get excited about but that isn't a hotel issue. This was the welcome fruits in my room, and I told FO agency regarding this when I checked out and her response was ‘ oh, sorry’. As a luxury hotel and one of the leading hotel in Switzerland, I don’t think it’s acceptable. Shower had a leak which left the bathroom pretty wet. It's nice there is live music but the music itself is a bit dated. They have no regular black Earl Grey tea on offer. Sometimes the staff is over-solicitous. Spa, food and beverage somehow compensate for poor value for money on the room. At + 300 euros a night you won't return for that kind of room. Room totally overheated. Temperature control out of order. No fixing. Staff kept on closing windows, left open to air hot and smelly (recently refreshed) room. Shower systematically floods bathroom. Turn down service comes to early to fix the mess. Cut throat parking fee of 140 CHF for 2 nights and 2 cars. Self parking-fee was nor anounced nor documented on reservation or check-in. It’s not the first time I stay here but every time is so different. Rooms are extremely clean and the indoor pool is just amazing as well as the spa. It’s absolutely one of the best luxury hotel in the world. There was building renovation work whilst we were there - no major impact but the only negative as everything else about the hotel is great. Great location. Great hotel facilities. Very good staff.